Hi everyone! I was so excited to get this blouse in the mail today from SheIn! 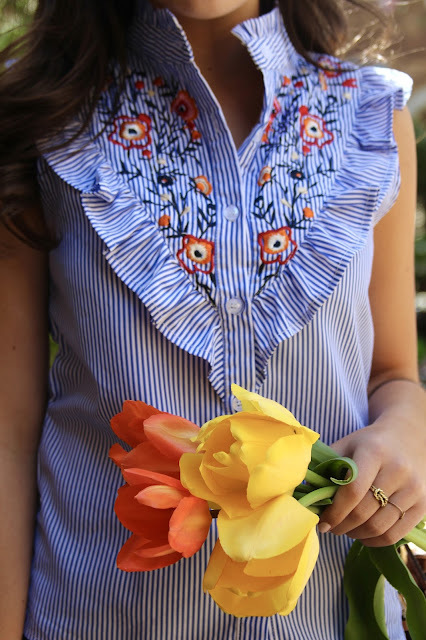 I've been obsessing over everything embroidered, and fell in love with this shirt when I saw it. This top is perfect for summer and it's under $20. I linked a few of my other favorite embroidered pieces and what I'm wearing at the end of this post. 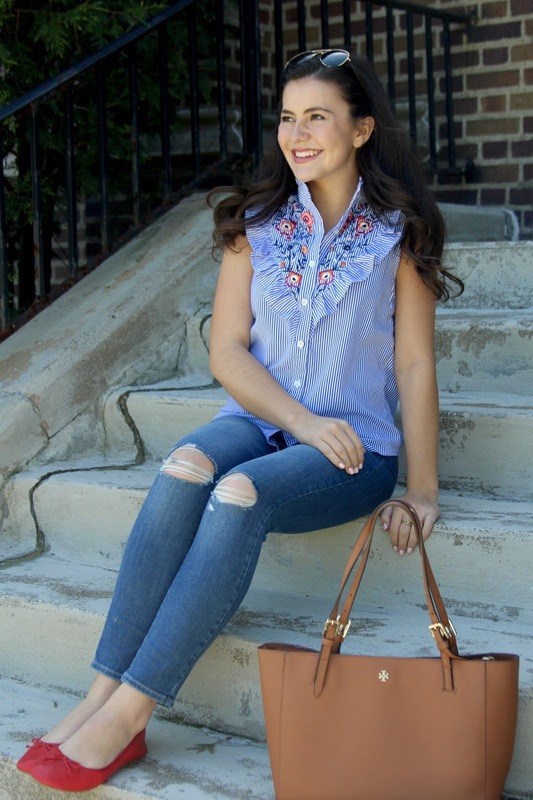 This top is so cute and perfect for spring! Love the ruffles! Really cute with the red flats! Such a cute top! I love the embroidery! That's a gorgeous top! I love that you paired it with red flats. So cute! great passionate kisses with this blouse buttoned, right ?